enjoy some days of Christian fellowship and refreshment from God's Word. Check out our information page for more details, and have a look at the programme ! Accommodation is available on site, with en-suite, bed-linen, towels and tea and coffee making facilities. To take advantage of on-site accommodation, please register by 28 February 2019. We do not charge for the conference but a contribution of £170 per person is suggested. Gifts may be made to Chapter Two but designated for the conference fund. 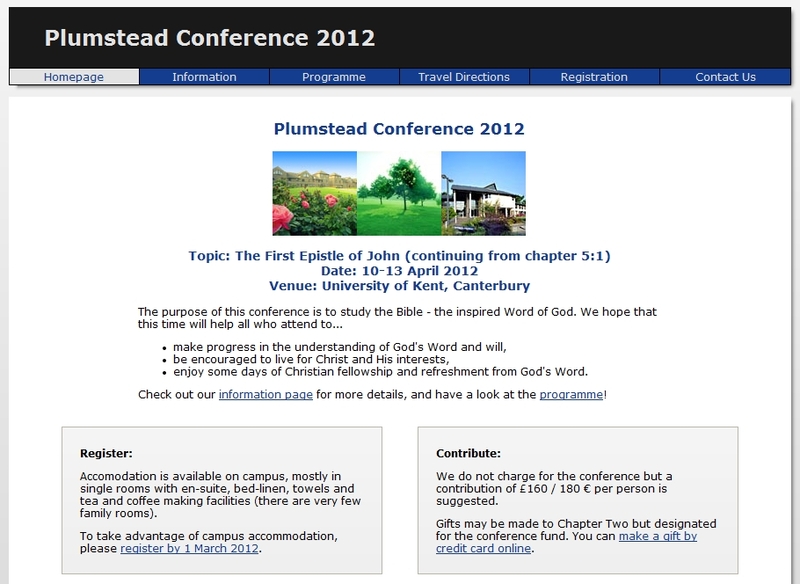 To keep informed about the Plumstead Conference you can subscribe to our newsletter . Simply enter your email address below, and click "Subscribe".